Amplify Your Imagination at TiE Inflect 2018! There’s a lot of buzz around Artificial Intelligence and Machine Learning these days. Are you able to differentiate hype from reality? TiE Inflect 2018 will present a grounded perspective by featuring some of today’s greatest minds driving AI. Get in the zone with a stellar lineup of thought leaders, entrepreneurs, and visionaries who will inspire and engage. 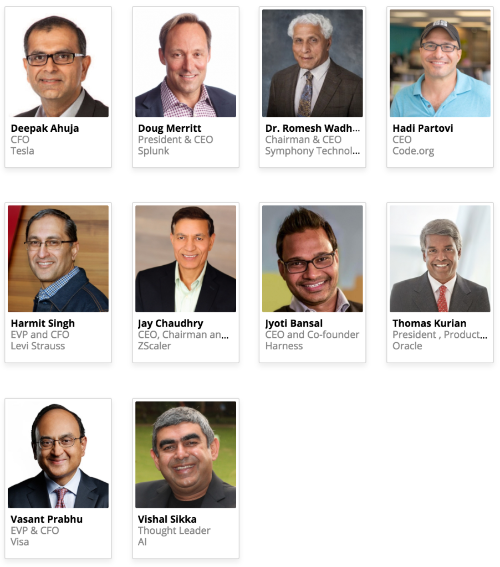 *To see a full list of the exciting speakers at TiE Inflect, please click here. Whether you’re a technologist scoping out your next gig, an entrepreneur building one, or an enterprise executive wanting to know how AI will impact your domain, you’ll hear thought-provoking, bold opinions that will serve as your inflection point into the future. Register using discount code “tiefriends” to join us on May 4-5th at the Santa Clara Convention Center, and widen your standards for imagination.